In September 2010, East Devon District Council published its LDF Core Strategy Preferred Approach, containing a summary vision and strategy for Exmouth. In response to research and feedback following the granting of outline planning consent for 350 new homes at Plumb Parl, Littleham, Clinton Devon Estates has produced new plans to help the town meet the needs of its growing elderly population as well as providing high quality affordable and open market homes, alongside employment opportunities, to encourage younger people to stay so that the community can thrive. The refreshed masterplan already has two key pieces of the jigsaw in place; the £25million Liverton Business Parl - providing jobs, employment space and renewable energy - and Plumb Park which received outline planning consent in 2013 for 350 new homes - 40% of which are designated affordable housing - all set alongside 14 acres of public open space, including a hilltop park. Both locations are regarded as highly sustainable due to their proximity to the town centre, sea front and existing residential areas, with plans for new footpaths and cycle ways further improving connectivity with schools and shops. A search is currently underway to find an appropriate development partner. It is hoped this will be concluded by the end of 2014. Following this, we expect to appoint during the first half of 2015 and it is hoped a start will be made on site during the second half of 2015. In September 2010, East Devon District Council published its LDF Core Strategy Preferred Approach, containing a summary vision and strategy for Exmouth (See page 64). Within the report the East Devon Strategic Housing Land Assessment indicates a potential supply of ‘developable’ land for just 720 homes, within and adjoining Exmouth, to 2025. Among the proposed strategic allocations for Exmouth is 500 homes and community facilities at Littleham Valley (now known at Plumb Park). 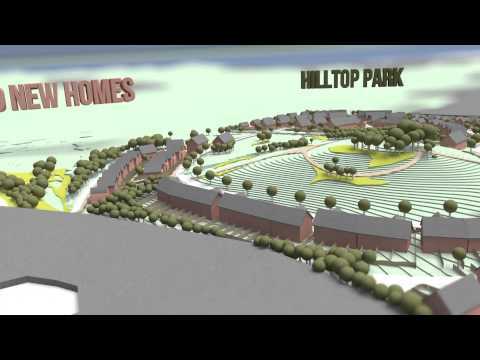 A new 350 home community, proposed by Clinton Devon Estates for Exmouth at Littleham has been given planning approval by East Devon District Council’s Development Management Committee (June 11th 2013). This development will help meet the need for open market and affordable homes for local people. It will also provide new public space, footpaths and cycle ways, woodlands, a community orchard plus revamped and new community facilities. 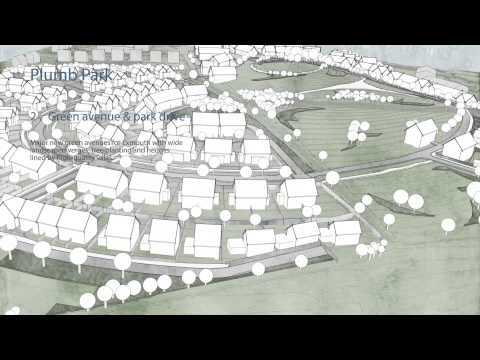 The Plumb Park site is identified in East Devon District Council’s emerging Local Plan for 350 homes. The site is easy to access; close to the town centre, seafront, train station and major bus routes. Currently the site is being used as farmland and has limited public access. Plumb Park provides an exciting opportunity to develop a real community with a mix of homes to buy and rent. The size of the site means that we can provide a spacious, quality development with plenty of room for children to play, wildlife to thrive and communities to meet.